Thin is in. 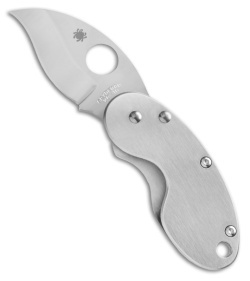 Spyderco has made their long-favored Cricket model even thinner by integrating the handle and lock. Custom knifemaker Chris Reeve invented the idea of making a liner lock out of the backside scale of the handle. In doing this, thickness and bulk are shaved off the handle for an ultra-thin folder that locks up confidently with fewer moving parts. 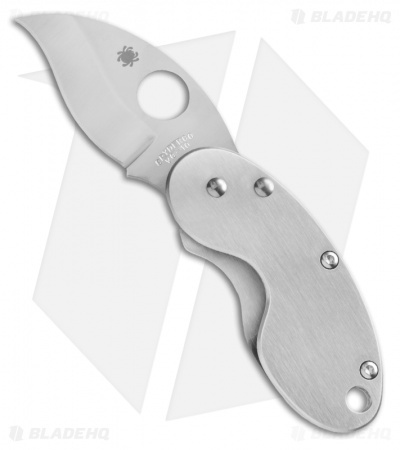 Spyderco has incorporated this design into a rounded handle with a reverse "S" shaped blade. The distinctive blade shape curves into a keen precision tip for intricate/detailed cutting. 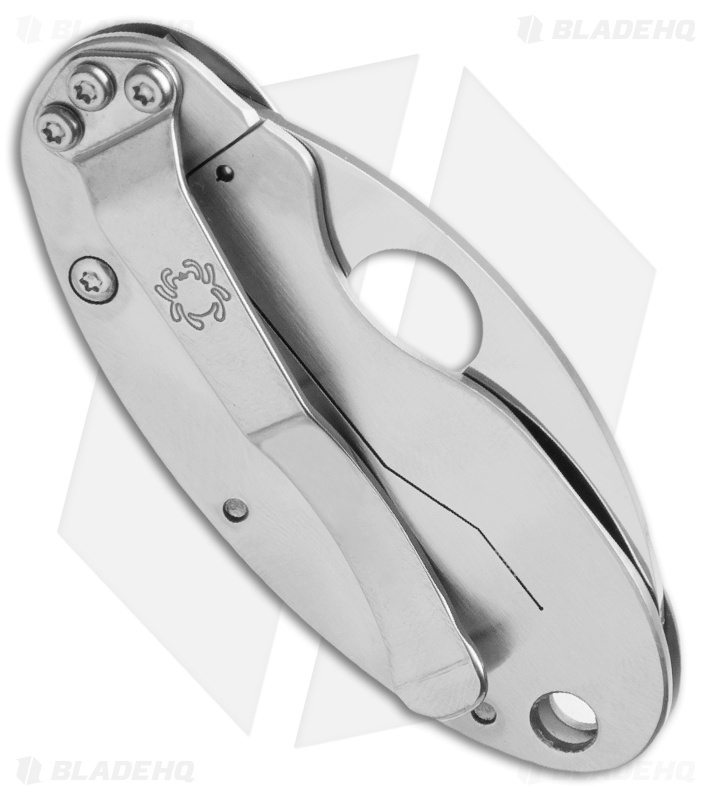 Made of VG-10 stainless steel, the blade is hollow-ground and when folded closed, creates a smooth package that rides nearly invisibly in the pocket. The pocket clip carries right-handed tip-down but also makes a fashionable money clip. I love the way this blade shape and handle shape make a smooth, round "river stone" shape. It carries very well, though it's small and heavy enough that they can slip out of your pocket pretty easily. No, it's not the most ergonomic knife in the world, but you shouldn't be breaking down cardboard for hours or trying to process kindling with this. For opening packages or breaking down one box at a time, it's great. The reverse-S-curve blade is amazing for penetrating and "unzipping" things with the hooked tip, but it still has a section of belly for better slicing efficiency. The one thing that makes this knife better is serrations. I don't normally choose serrated Spyderco knives, but for a hawkbill/reverse-s tip shape it just works way too well not to go for it. When I first recieved this knife as a gift I was unsure what I would ever use it for. After putting it in the pocket and using it for a week it became one of the knifes I went for first to carry because of its size and shape it is surprisingly a all around work horse.